Junge Fotografie International: The perfect Christmas gift! You want to give your loved one something really special and still have no idea? 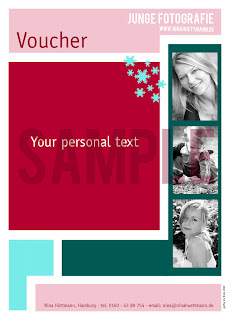 Give away a portrait-shoot - gift voucher of Junge Fotografie and show your partner how wonderful he/she is! More information on request! Click HERE to get to contact form!